The sun setting over Max Patch Bald in the Pisgah National Forest. 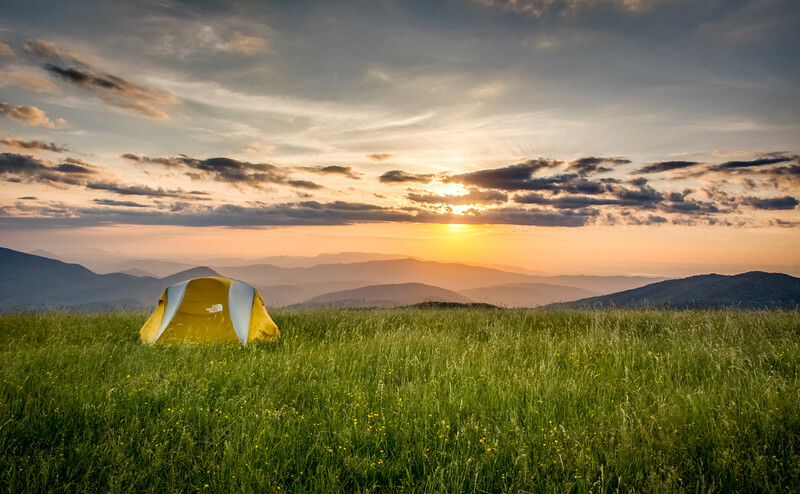 Many camp on the bald to watch the sunset and view the stars. The Appalachian Trail runs over the top of the bald.